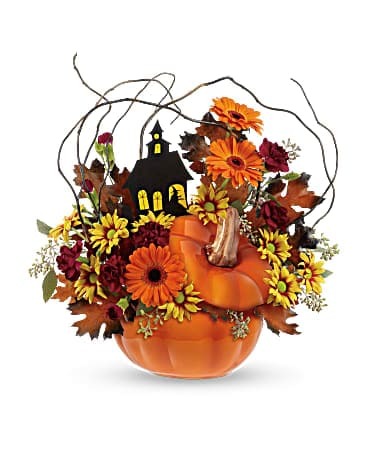 Fun and festive! 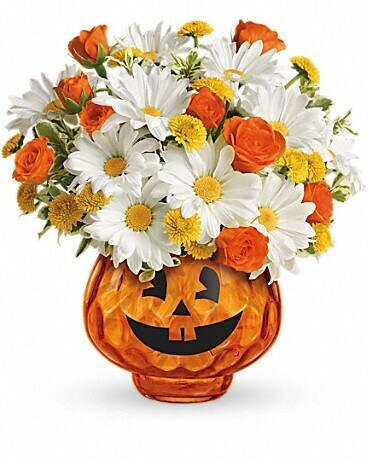 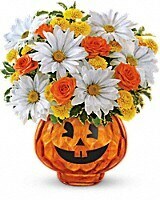 Orange spray roses, white daisy chrysanthemums and yellow button chrysanthemums make this bouquet as bright as any jack-o-lantern! 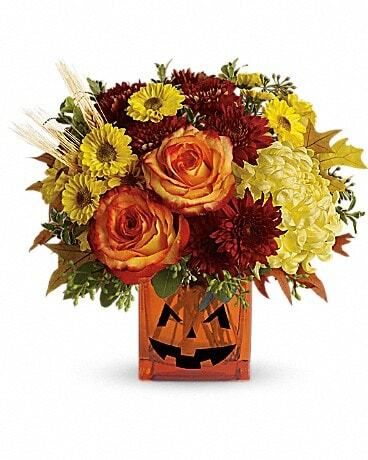 Delivered inside a hand-cut orange glass votive adorned by a festive jack-o-lantern face -it makes for a very Happy Halloween! 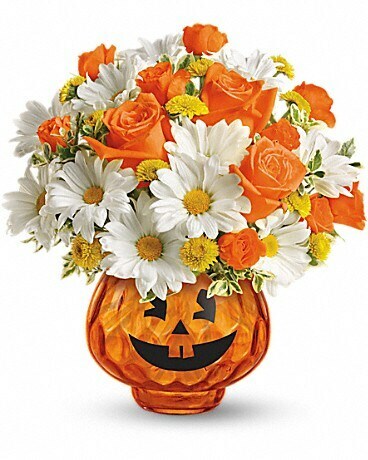 Halloween just got prettier! 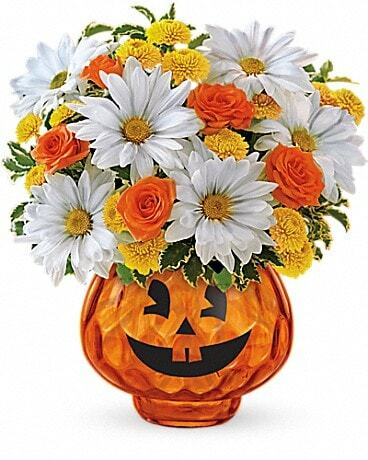 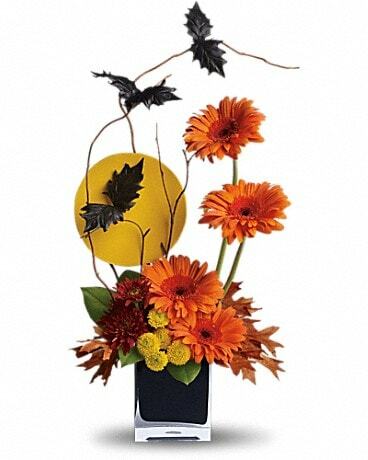 Orange spray roses, white daisy chrysanthemums and yellow button chrysanthemums are combined to create this lovely seasonal bouquet. 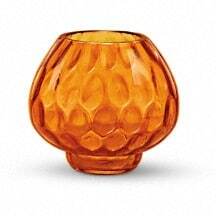 It's delivered in a hand-cut orange glass votive adorned by a festive jack-o-lantern face for fun holiday flair!